Our Center’s very own, Roger Albin, MD, was one of fifteen researchers at the University of Michigan named a fellow of the American Association for the Advancement of Science (AAAS) on November 27th, 2019. This is an honor bestowed upon AAAS members by their peers. This year, 416 members were awarded this honor by AAAS because of their scientifically or socially distinguished efforts to advance science or its application. 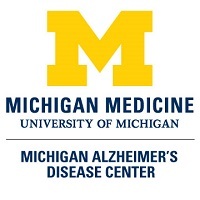 Dr. Roger Albin leads the Research Education Component Core at the Michigan Alzheimer’s Disease Center. In addition to his role at the Center, Dr. Albin is also the Anne B. Young Collegiate Professor of Neurology at the U-M Medical School and chief of neuroscience research at the VA Ann Arbor Health System Geriatric Research Education and Clinical Center. He was awarded this great honor for his distinguished contributions to systems and translational neuroscience, particularly for fundamental insights into basal ganglia function and basal ganglia disorders. New fellows will be honored in February during the 2019 AAAS Annual Meeting in Washington D.C.
For the full article, please see this link.